The Trial Court Vacancy Commission is accepting applications for the circuit court judge vacancy in Hamilton County. The Hon. W. Neil Thomas, III has informed the governor that he will retire effective Oct. 5. Any interested applicant must be a licensed attorney who is at least 30 years of age, a resident of the state for at least five years and a resident of the 11th Judicial District. Applicants must complete the designated application, which is available at www.TNCourts.gov, and submit it to the Administrative Office of the Courts by noon CDT on Aug. 3. The commission will interview all qualified applicants in Chattanooga on Aug. 30. The meeting will include a public hearing during which members of the public may express any objections to any applicant. The public hearing, followed by the interviews, will be open to the public. 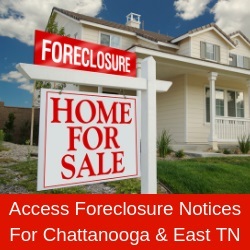 For more information, visit www.tncourts.gov/administration/judicial-resources.